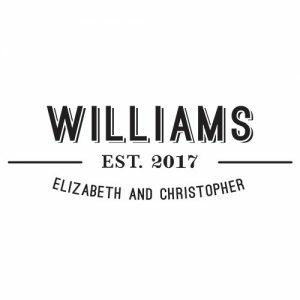 Give every single wedding element a personalised stamp of approval with these high quality custom rubber stamps. These easy-to-use rubber stamps allow you to make your mark on wedding favours, gifts, cards and more. Couples can use these stamps long after the knot is tied. 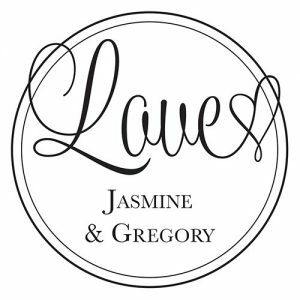 These customized monogram rubber stamps as well as all sorts of unique bridal rubber stamps that are perfect for complementing your wedding motif. Shop styles in woodland, antique, vintage, modern, industrial and garden-inspired themes. Pick out one of our unique stamps and create your very own DIY favor tags that you can stick on each individual wedding favor and add to your bridal shower gifts. Implement these customized rubber stamps for weddings, bridal showers, engagement parties and wedding announcements before the big day. Brides can opt for classic styles like beautiful, streamlined monograms or pick something with a lovely graphic that plays into your original wedding theme and personal sense of style. These custom rubber stamps are professionally designed to ensure that you get a lovely imprint every single time. Each signature stamp comes with a long-lasting rubber stamp pad and a wood handle for easy, professional markings. Each one can be beautifully customized in a wide variety of options. Therefore you can just your initials or your full names and a special, personal message or phrase.